We love this stroller, including our 7 month old daughter. We upgraded to this from a Graco Jogger. The BOB Revolution is quality, you get what you pay and definitely worth the investment! My favorite features are the large canopy, easy brake system, compact when folded, and comfortable for our 7 month old daughter to fall asleep and stay asleep for a while. 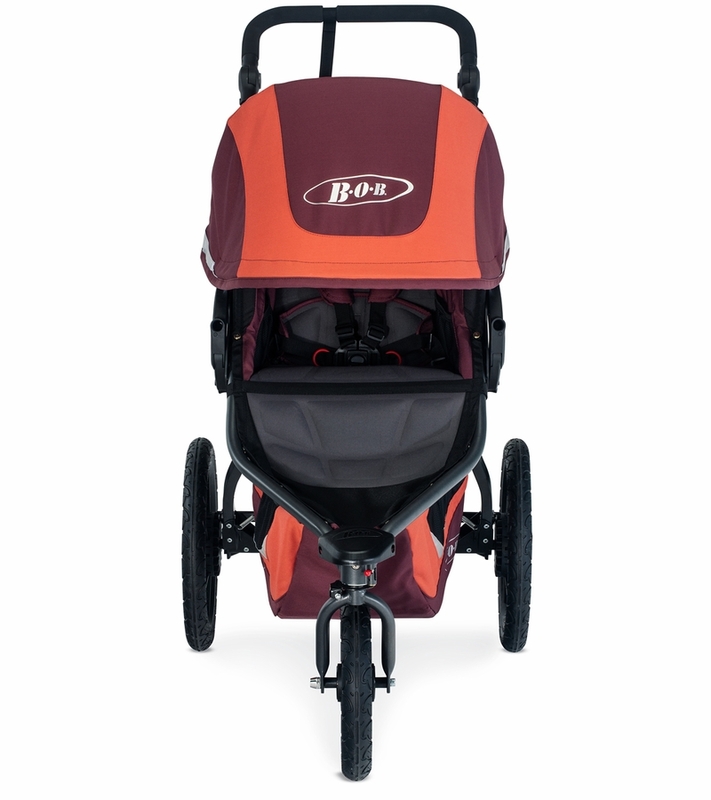 If your kid is stroller aged (can't quite keep up with you on a ruck run) and isn't riding a bike yet, you need a BOB. My oldest can keep up on his bike; my youngest gets a first-class ride and an awesome view. If it's a truly gnarly adventure, we bring out the Double so they can both sit. 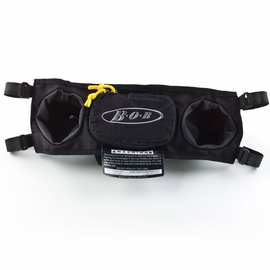 The BOB keeps up on runs, weight-vest rucks, and an occasional hike. Beyond this, the BOB crushes it at the zoo, theme park, and farmer's market. We've owned BOBs since my five year old was an infant but just recently tried out the new Revolution Flex 3.0 Single. I haven't found anything that compares when it comes to turning and general "pushability." Pneumatic tires and smooth bearings make it super smooth and easy when pushing. This smoothness translates very well to the handlebar. 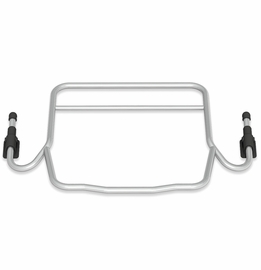 Since the stroller doesn't require a death grip to maneuver, you can make nearly infinite adjustments on the fly by adjusting hand tension, placement, or the handlebar itself. The Flex 3.0 adjusts and locks into 9 different positions with intuitive thumb buttons on either side. The handle material is also very comfortable over distance-temperature stays consistent and it handles moisture without issue. As smooth as it is on the asphalt, it's even more fun (in my opinion) off the roads. It cruises on hard pack, fire roads, and trails. The suspension system combined with pneumatic tires do their job well. I've never heard my kids complain about being uncomfortable in the BOB and we've been over some pretty gnarly terrain. The Flex 3.0 has some cool upgrades compared to previous models. The "peak and chat" window as they call it now uses magnets instead of Velcro (much easier to handle on the fly) and has a ventilated section that seems to do a much better job of letting soundwaves through-you can actually hear your kiddo. This might not seem like a big deal, but constantly having to stop to hear what your kid needs can get pretty frustrating (not an issue when the sunshade is pulled back). The upgraded storage and cell phone pockets are nice, but I'd still recommend adding a handlebar console if only for the ability to have water bottle access without stopping or having to reach down. 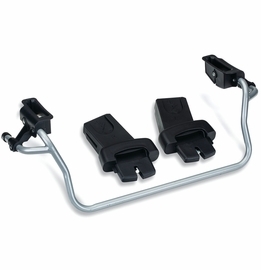 The reclining system is also very smooth and easy to operate. I'm not sure when this design first appeared, but it's a great system. Like other BOBs, the 3.0 folds down to a pretty small package. I've stored it multiple ways in our overpacked garage: hung it on walls, stuffed it in corners, and packed it onto the shelves. I'm always impressed at how much room it doesn't take up. The fold down process is very smooth and quick. The rear wheels are also extremely easy to take on and off-great design that wasn't on some of the earlier BOB models we tried. For the front wheel, they've upgraded to a thru-axle system instead of the previous quick-release style. I questioned this at first, but concur that this is an upgrade. The axle is super solid and you can't really mess it up-it's on right or not at all. It also requires much less maintenance compared to the original quick-release. Definitely think the 3.0 is an improvement on a stroller that I was already a fan of. This stroller is perfect for any age kiddo. I have a 3 year old boy and he was comfortable playing in the stroller as we jogged through our neighborhood over the weekend! The wheels worked great for sharp corners, getting on curbs from street and running smoothly. I would recommend this for anyone who needs a loyal stroller to last a long time! I received this product for free and this review is completely my opinion. I LOVE this stroller! First, it's so easy to fold and unfold- it seems to fold fairly flat too and doesn't take up a ton of space. The adjustable handlebar is awesome -which made me feel truly at ease pushing while jogging. The handling is beautiful- it turns so smoothly. My 3-year-old is also happy in the stroller- he was excited to go out for his next ride in it! He was comfortable in the seat and the shade seemed to cover everything too. The straps were super easy to adjust, as was the seat. Storage (which is a big factor for me) is ample. 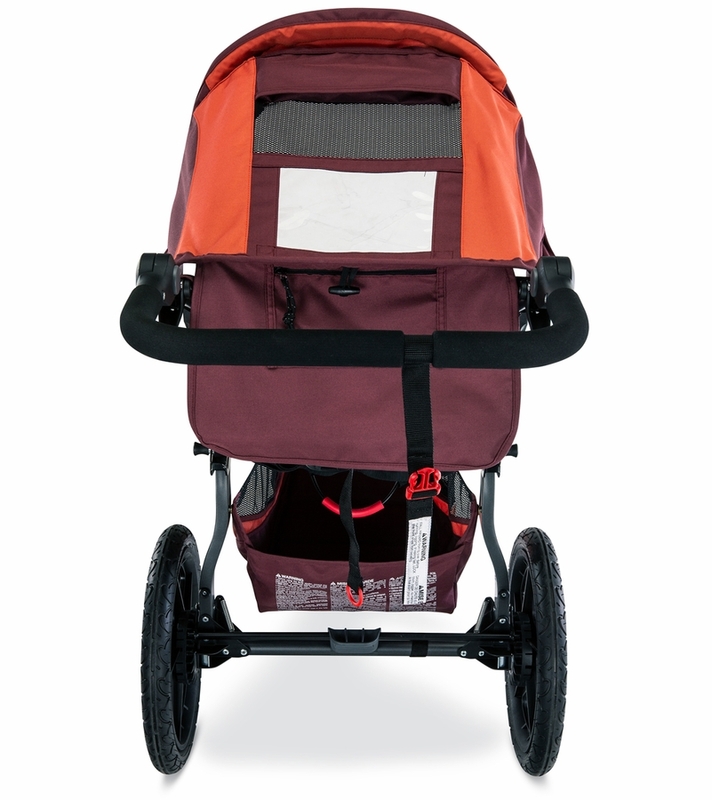 The under-stroller storage has plenty of space and there are pockets everywhere! The ones on the back are perfect for holding snacks. I really also like the small zipper pocket at the back- it's perfect for keys and cell phone. I only wish I had this stroller sooner! I did receive this product for free, but this review and opinions here are my own. I absolutely LOVE my new Revolution FLEX 3.0 because it goes anywhere! I took it trail running and loved how smoothly the stroller maneuvered over rocks and other obstacles. It turns on a dime which makes it easy to get through crowds and tight spaces. 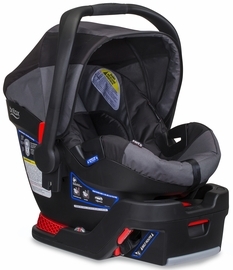 Some of the new features I was impressed with were the adjustable handlebar and the easy one-step reclining seat, which is perfect for a smooth transition between strolling and naptime. My 4-year-old loved the comfortable ride; even commenting about how he didn't feel the bumps. I love that there is a larger compartment underneath to store blankets and jackets with lots of pockets for snacks, water bottles, phone and other essentials. 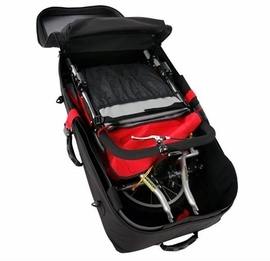 The stroller is super light weight and easy to pack and load into the car for the next adventure. This stroller will be part of our family for a long time! While I received this stroller for free, these opinions are my own. I received the BOB Revolution Flex as a free, promotional item and these opinions are my own. 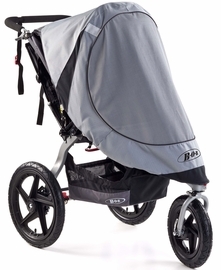 I'm been a big BOB fan for years, but this stroller is even better than the BOB I previously had! It's incredibly easy to maneuver, I can turn it easily with one hand. The ride is smooth and it's so easy to run, jog, or walk with on a path, on grass or even in sand. It folds us nicely and is easy to store! I received the product for free, but the review and opinions here are my own. I tested out my new BOB today and it is now one of 5 strollers I own and I wish I would have bought this one first! It is so smooth, and my daughter absolutely loves it. She gets very antsy in the stroller typically and she was happy as can be today while we were on our walk. This stroller is amazing! I'm obsessed with the improvements in this model! I have been using an old bob for a couple years now, and happy with so many things about it (shocks, ability to take it on hikes, ease to run with, agility, under basket and sun/rain hood) that I overlooked some things I didn't. Only recently I've been somewhat pining for other models of strollers that are more supportive of my daughter's back and posture, and ones the toddlers seem happier, more able to look about. BUT THEN THIS. It has the ability to be far more upright than the older models, which my two year old loves, and in general seems much sturdier without being heavier (as far as I can tell). Everything I love about my old one is there, but this one has easier recline and lift of the back, so if she's asleep I can manage that without disrupting. The visor portion seems to hold up better, there's more ventilation for her inside, a new little pocket for keys and phone! I'm in love with this stroller. The Only Stroller You Will Ever Need! This stroller is everything. Yes, it's a "jogging" stroller, but it's the only stroller I ever want to use. 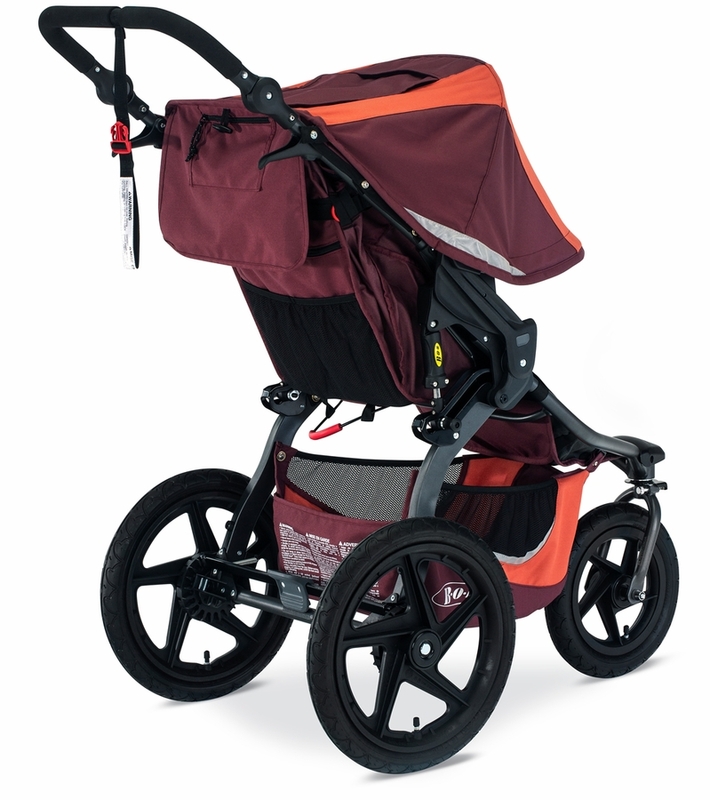 It rolls so smoothly, and turning is SO MUCH easier than other strollers I've tried. I'm on my 3rd child and 3rd BOB. They. are. the. best. I LOVE this stroller! It moves so smoothly and is so easy to maneuver. I just received it and it is one of 4 strollers that I own and I will only be using this one now. It is great for a taller child, and mine is super tall. When you walk/jog with it, the kiddos can't feel all the bumps in the road. The storage on this stroller is amazing and makes it very easy to carry around all of the things for my kiddo. Love it!! This is the best stroller! It's easy to maneuver, I can turn/push it with one hand while holding a nursing baby! It's easy to fold up and take with you in the car. 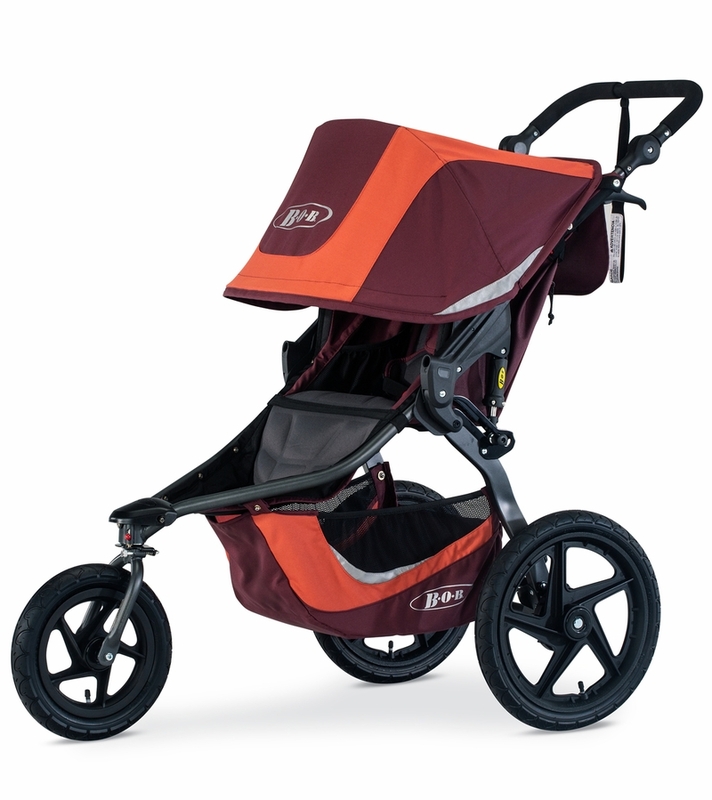 It's super comfortable for my son, glides smoothly while I'm out on my runs. The extra storage pockets are awesome for my phone or extra diapers/wipes/tissues. The big basket underneath is great for shopping trips or trips to theme parks - it holds all of our things and is very sturdy. The seat is easy to recline and it reclines all the way to flat which is great for a sleeping baby or a quick diaper change! I really love the adjustable handlebar. I'm short so it's nice to be able to lower it for me and then raise it back up for my husband since he's taller. And to top it off, it's pretty! I love the Burgundy color with the orange accents, it really pops! I received this stroller for free and the review and opinions are my own. This stroller is amazing. It feels like it's gliding on ice. I love the adjustable handle bar, cell phone pouch and that the peek through window is a magnet instead of velcro. I don't even notice that my 45 pound son is in there. I lightly tap and it goes. I did receive the stroller for free to test it and I'm in love with it. This review is my opinion and I wanted to share because it's a great stroller. I love everything about this stroller. I used it to run and walk, turn corners, ride over gravel, uneven pathways and bumps without any issues. The shade provides full coverage from the sun which is HUGE! There is also plenty of space to store items in the bottom. 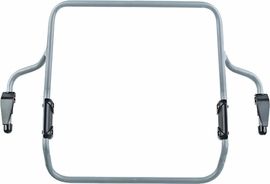 I love the handle bar - its comfortable and easy to adjust. This stroller is worth every penny. I would recommend to anyone! I have had this stroller a little over a week now and I LOVE it!!! It rolls effortlessly even with my big kid in it (60 lbs). Mostly I use it for my younger kiddo (20 lbs). We attend/instruct Stroller Strides so this stroller gets loaded up! 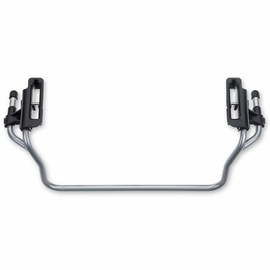 The adjustable handlebar!!! My husband and I BOTH love this stroller for this reason! The seat reclines nearly flat. I don't use this much with my kid now, but would have loved it when he was younger. The sun shade goes way down and fully shades/covers kid! This would be great for small babies and my sometimes shy toddler loves to pull it down when he wants privacy. The mesh pockets on the back of the stroller are smaller than my previous BOB, which at first I thought might be a draw back (I used to store books and a tissue box in there), but turns out to be perfect for water bottles. Everything is SMOOTH. A smooth ride for kiddo. Easy, tight turning. Folds up with a slight tug. Was very easy to use straight out of the box. Wheels needed to be put on, but it was beyond simple. Note: I received this stroller for free and the review and opinions in it are my own. I cannot love BOB any more. I am an avid runner, and run about 15 miles per week and am currently training for a half marathon. For me, as I'm training, my speed and pace isn't compromised because I am pushing a slim stroller that is light and easy to maneuver. Smooth like butter and floats like a cloud. Seriously, even my husband was excited to run with the BOB. 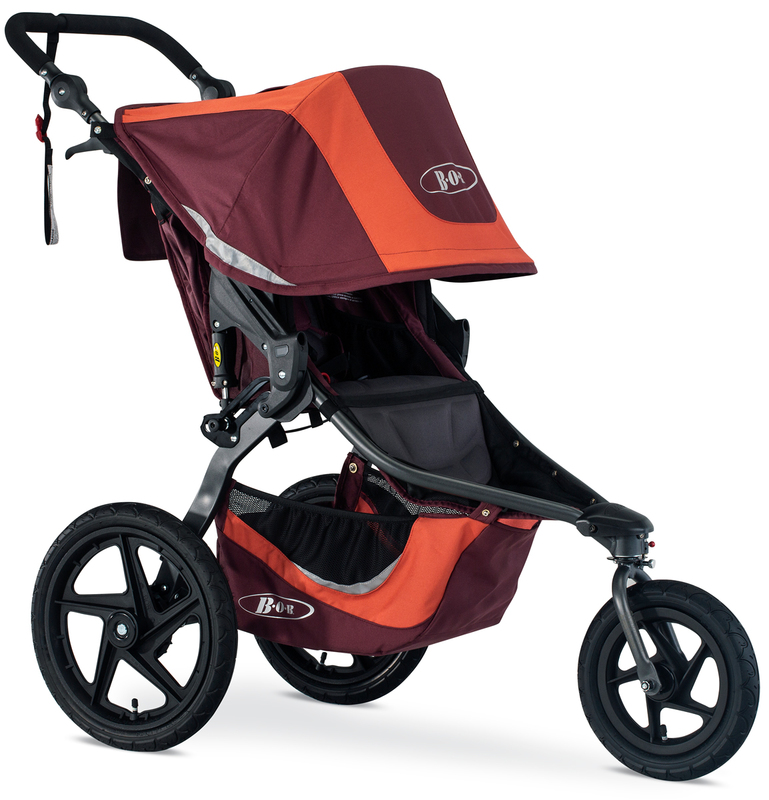 Even if you don't jog/run, the Revolution Flex 3.0 is incredibly light, practically floats, and moves with ease, making it a smooth ride for your little one and easy for you to push. 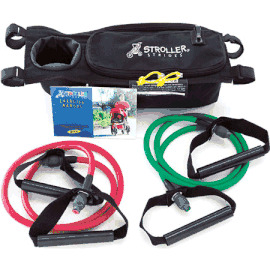 Before I had my son, I was not physically active and never considered any stroller that had the word "jogger". Biggest mistake yet. I wish I didn't suffer in those first years with a clunky, bumpy, rigid stroller. Make your life easier and don't settler. This guy will last you for years, and you won't regret it. I do have to add, my only negative feedback is the back mesh pocket. It has a sewed in divider making it 2 small mesh compartments. Not much can fit in the 2 small compartments, I can fit one bag of baby wipes and small hyrdoflask in each. I much rather have a one large mesh pocket, than 2 small. On the flip side. I really like the two zipper pockets on the back. It is a safe, secure way to store keys, phone, or sunglasses keeping them out of sight. I received the product for free, but my opinions, thoughts, and reviews about the Revolution Flex 3.0 are 100% my own. We love the BOB Revolution flex 3.0. It was super easy to assemble and to fold and load. The ride is very smooth comfortable (my little has fallen peacefully asleep! 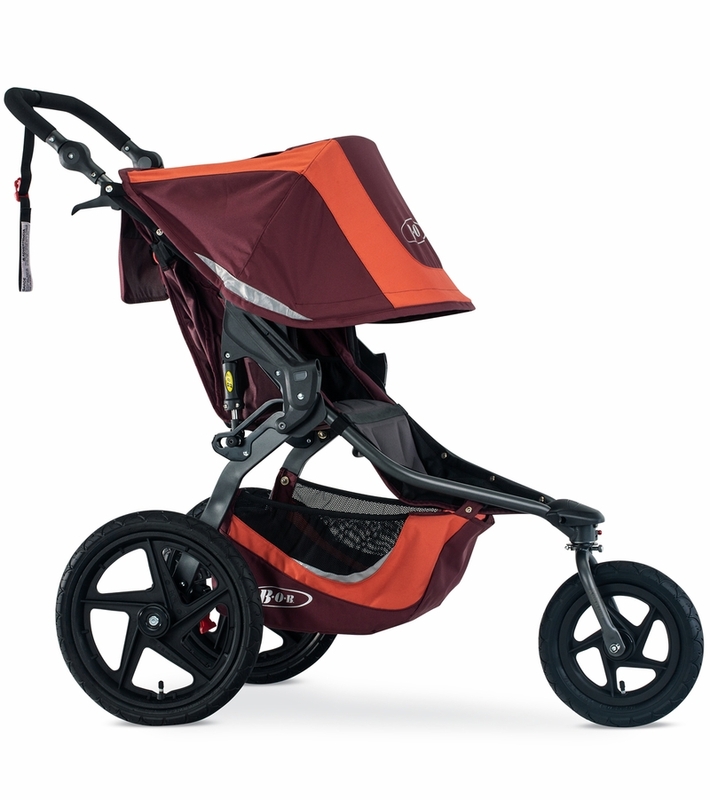 ), which makes it the perfect jogging stroller. It's also easy to maneuver. We took it to a busy museum and park and had no problems getting around! I have another BOB stroller, but love the new features of this stroller. Plus, the Sedona orange color is really fun! I received this product for free, but the opinions are my own. This stroller is amazing. It feels like it's gliding on ice. I love the adjustable handle bar, cell phone pouch and that the peek through window is a magnet instead of velcro. I don't even notice that my 45 pound son is in there. I lightly tap and it goes. I did receive the stroller for free to test it and I'm in love with it. This review is my opinion and I wanted to share because it's a great stroller. This has been a life saver for our active lifestyle. My little guy loves it! We are out and about, walking or running 5 days per week, so comfort is important. It is easy for me to maneuver and have enough space for my gadgets, water and my little guy's snacks. Wow! I can't say enough on this stroller. 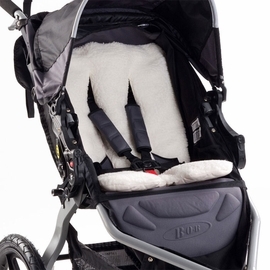 The BOB Revolution Felx 3.0 is the easiest stroller to maneuver. I took it on light jogs, around town, at the shopping mall and at the park. It was so easy to fold and load in and out of my SUV. My little boy stay nice and comfortable in the seat. I knew he was safe with the easy to use five-point harness. He was so comfortable as i jogged around the block. Now I can't wait to take him with me in this stroller as I start training for my race! *I received this stroller for free and the review and opinions are my own. Another great BOB stroller with new additions! I have multiple BOB strollers (single and double) and love them! 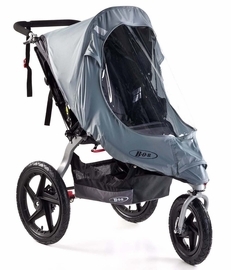 Love the new additions to this single stroller including a zipper to put personal items close to the handle bar, the breathable material and lunar reflective material for night time runs. I received this single stroller for free but this review and opinions are my own. With a toddler in tow, my only source of exercise these days is a quick run every morning. I've tried a couple strollers and non of them are really a match for the curvy sidewalks in my neighborhood coupled with some bumpy unpaved side roads. But the Bob Revolution Flex 3.0 is a GAME CHANGER. It literally glides easily along and takes any bumps in stride. My toddler even enjoys the smooth ride and doesn't notice a single movement. (I know because she notices everything and during my runs does not take her eyes off the iPad). It feels light and easy to manage while in motion. 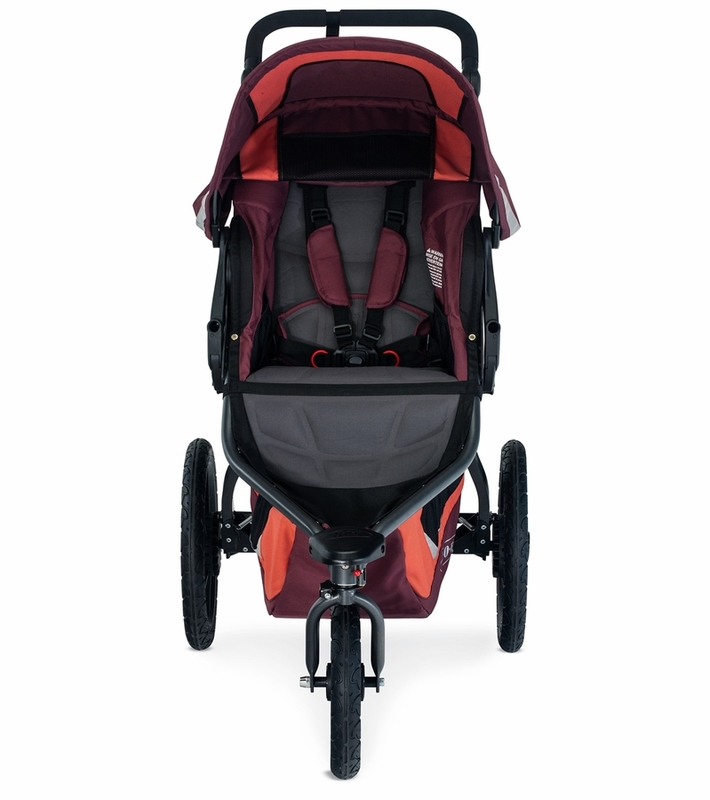 The interior is much more roomy and comfortable than other jogging strollers I've tried. I also like how seamless the brake is to use. I love this stroller so much that I feel like I missed out not having it with my first child. 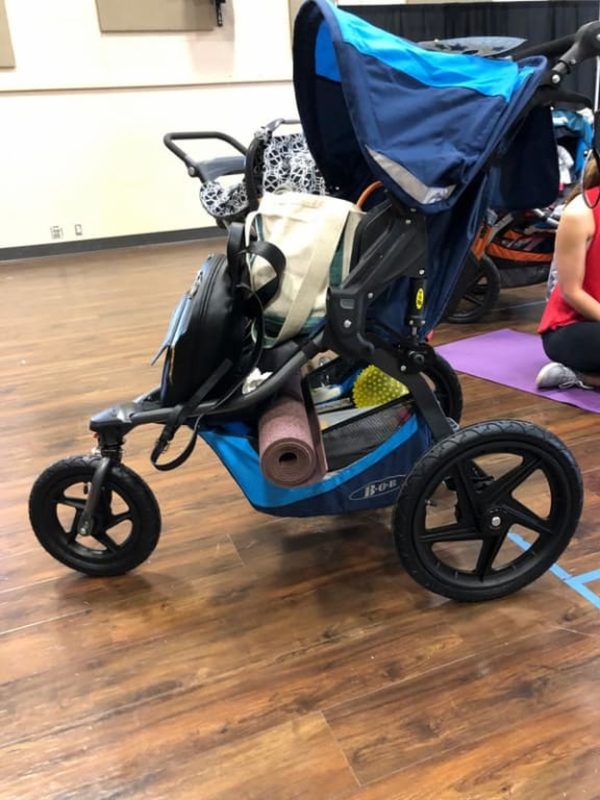 With my child content and comfy I can now get my workout in every morning with a stroller that is seriously a pleasure to use. 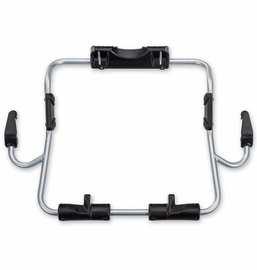 I can't think of a single box that this doesn't check off if you are in the market for a jogging stroller. Just received this a few weeks ago! It is an absolute dream to jog with. It moves so smooth, I can push with one finger. I actually hauled all my beach stuff on it and pushed it on the beach with ease! 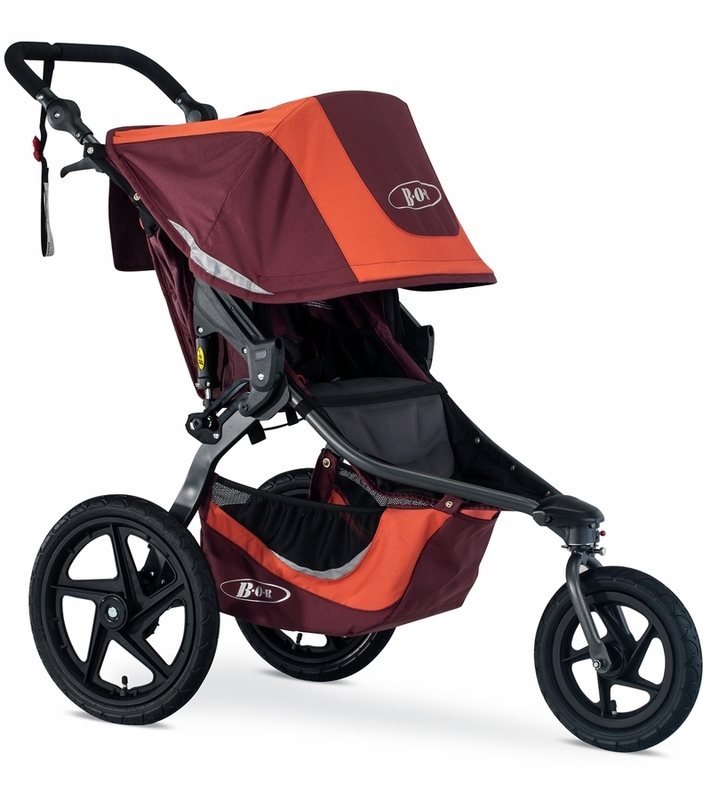 It is overall the best jogger stroller you can buy. It even reclines and the sun shade covers my daughter so she can take a good nap while running. Highly recommend.